Red Dead Redemption was a game that many people have fond memories of as it was something pretty different at the time. GTA clones had been coming out of developers for years, but something back in Wild West times? It was unheard of, with GUN being the only exception. We all loved it, even with it’s issues, but questions were always on the horizon over when the next one was coming. Then on October 16th, Rockstar posted a single image, and the internet went into meltdown. Originally slated for Autumn 2017, it wouldn’t be until a year later in Autumn 2018 where we’d be able to get back on our horses and become the wild west gunslinger we yearned to go back to. It was a long wait, but howdy was it worth it. Red Dead Redemption 2 is a game that redefines immersion and open world games as a whole. What this game has achieved in terms of character development and world building is like nothing I’ve seen before, to the point that limiting this review to the key points is difficult as it’s important to see how much they’ve done to make a living breathing world. 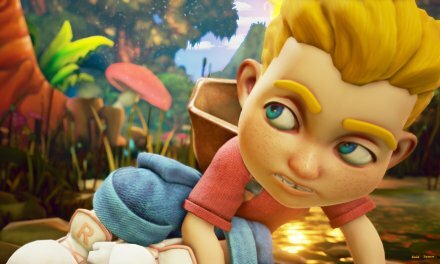 The game starts slow, but as it progresses it opens up a huge world for you to explore, with a plethora of activities to do, and characters to meet – and it’s the characters that really make this game stand out. Arthur Morgan is our protagonist, a skillful gunslinger and valuable asset to the Van der Linde gang. 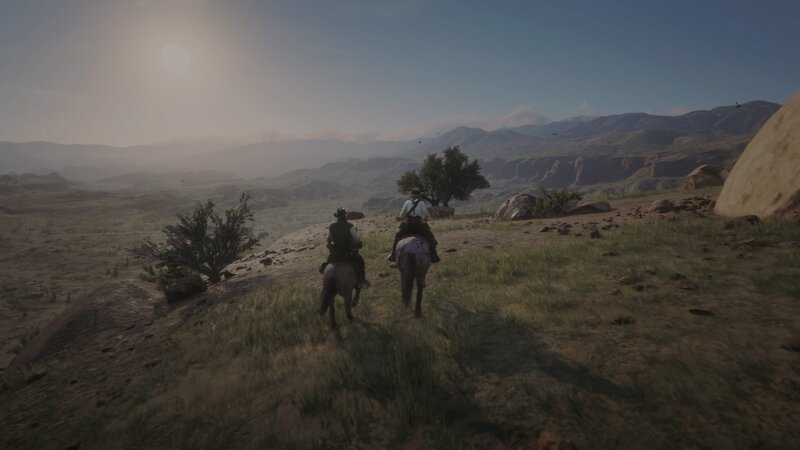 Arthur has ridden with the gang for many years, lead by it’s charismatic leader Dutch Van der Linde himself, who prides himself on his principles of liberty and freedom for all, away from oppressive governments and back to a more simple time. Through robbery and other criminal activities he hopes to escape back to the old west, and start a new life for him and his rag tag group of thieves. 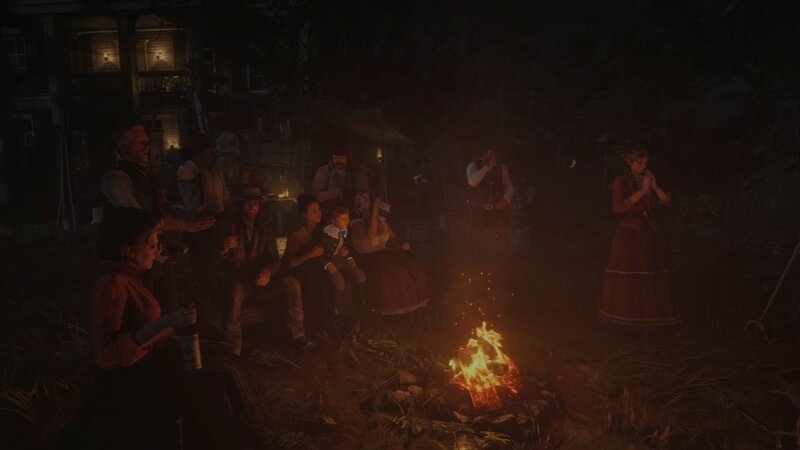 For most part the gang will be hanging around in the camp, and through these characters we see Red Dead at its strongest. They’ve all got their own thing going on, they might playing cards, playing guitar, dancing, talking about current events, singing around the campfire, and even arguing with each other. They’ve got their own personalities and as the game goes on you learn more about them, their history, who they are and what they hope for and you start to care for them and unlike some other games where you can just vaguely remember them, you know exactly every character maybe 2-3 hours in and you’ll try you hardest for them, it’s not just a generic gang, but a community and they all matter. Now it’s pretty standard for games to include generic interactions like this, with many games bragging how “their characters engage in dialogue” to make it more immersive, and yes they do, but Red Dead takes it a step further. You may come across some characters arguing in camp, or storming off, or crying, and you can go up and ask what the problem is, it might be something minor and they’ll brush it off, but sometimes it can evolve into doing something for them, a passive side mission to do when you’ve got some time to kill. 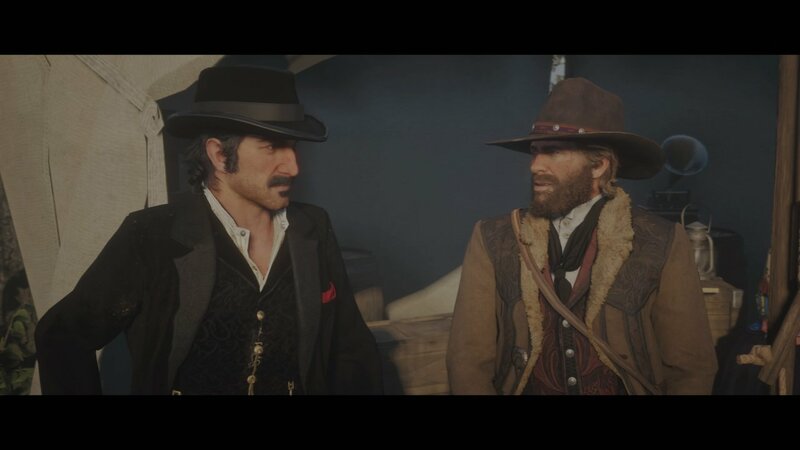 I know this doesn’t sound like a big deal as many games have side quests, but with Red Dead does it so passively, it doesn’t open up a separate dialogue window or text options, it’s simply go up and have a chat and go about your day, and that’s what makes this game so immersive. Every character can be spoken to as you walk through town, some characters may give you a simple howdy, some might get hostile and tell you to keep to yourself, some might call you over and ask for your help. In a certain town an ex-confederate soldier recognized me from earlier on and warned me to keep a low profile as he’d noticed I was a wanted man around those parts. It’s so simple, but I cannot stress how much more it adds to the game simply being able to say hello to people, or insult them if I really wanted to. Immersion isn’t just limited to your interaction, but to how you decide to lead Arthurs life. You can dress up in fine suits and be kept well shaven with everything you own in pristine condition, or you can choose to walk around in your pants with filthy guns and never bathe. You choose the life you want to lead, you can choose his clothes, what style of beard and hairstyle, what food he eats, if you want to bathe, how you talk to people, if to help people, the campsite itself and most importantly – his guns. With most games, certain guns favor certain situations but the new horse mechanics mean you can’t take your entire arsenal with you going into gun fights. Arthur can carry 2 handguns and 2 long barreled guns, while the rest will be holstered with your horse. Personally I always carried 2 revolvers, a rifle / repeater and my double barreled shotgun. The double barreled fired much slower, but it looked amazing. The gun customization makes your weapons much more personal and there’s so much to do. you can use different metals for different parts of the gun, with different engravings and wood varnishes to make them go from some generic farmhouse shotgun to something real menacing. Walking around with these custom guns makes it that much more satisfying when you go into gun fights and just like Red Dead before it, they’re a lot of fun. As said each gun is suited for certain situations, and the more you use a gun, the more efficient it becomes. The repeaters are faster but weaker, while rifles are stronger but slower. Shotguns have shorter range but much more powerful and handguns are useful in a flurry of bad guys shooting at you. Shooting feels stronger than GTAs as guns seem to have more of an impact, you really feel the connection when you fire and its delivery is a great feeling. Dead Eye makes a return also, allowing you to mow down a group of bandits in one fell swoop. It also gets better the more you use, with it’s more later features showing you the more lethal areas of gunslingers and animals. Knowing where to shoot on an animal sounds quite specific but its actually very important. Hunting is a major part of Red Dead 2 and you need to do it right. you can’t just go guns blazing into the woods, you need to track the animal and use the right gun for the job. Smaller animals are decimated by shotguns so you need to use a bow or small caliber rifle. The more holes you put in the animal, the less value it will have and for some of the best outfits in the game you need those perfect skins. 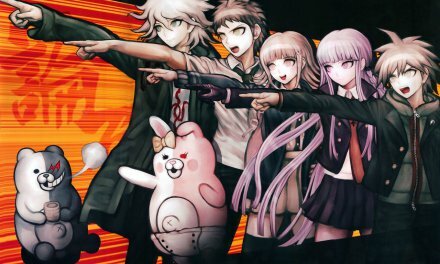 Guns are also your main tool for intimidation (obviously) so you can aim at any passer by to rob them, or if you just want to mess around, you can even point your gun skyward and fire just for that extra demand. Certain times you may have committed some uncivil act and need to chase down the witness and ‘force’ him to not tell the authorities, the choice is yours and as previously stated – it’s the minor things in this game that really make it stand out. A good example of this was one of my days around chapter 4. 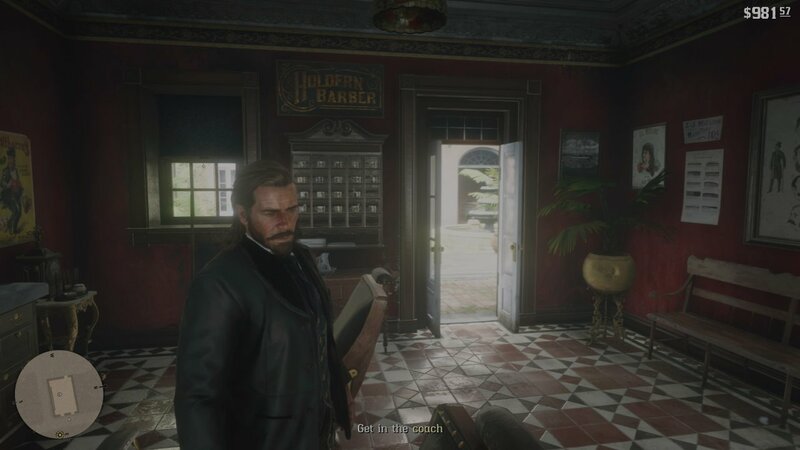 I had got into the town of Saint Denis quite late and didn’t want to start the next mission until the next day so I checked into the nearest parlor and went to sleep, the next day I woke up early and spoke to the bar keep about setting up a bath as Arthur was quite dirty from the night before. I went back upstairs and had a bath, and one of the ‘parlor girls’ helped me wash. I set out to town to run some errands and get some supplies, first place being the barbers. I had my hair and beard trimmed down as it was getting a bit of a mess. Next was the general store to get some new clothes, but it was all a bit plain so I just bought a new hat and some general provisions for my travels. The gun store was nearby and my guns needed a bit of a clean as they get a bit dirty over time and don’t function as good, so it’s important to keep them nice and shiny. While I was there I added some custom engravings to my newer guns and some extra ammo to keep on top of things. Finally my horse needed some grooming so it was off to the local stables to get her all cleaned up, fed, and spruced up her mane, tail and saddle to something a bit more fancy as I had the money now so she was looking good. Horses play a much more intimate role in Red Dead 2 than they did in Red Dead 1, but back to that shortly. Now with all of this – stopping at the parlor, bathing, shaving, shopping, gun cleaning and going to the stables – I didn’t need to do any of that. There was absolutely nothing stopping me from going straight from Saint Denis to my next mission, sleeping and bathing does help Arthur perform better but it’s not needed. I didn’t need to get my hair cut, I didn’t need new clothes or even get my guns cleaned as they perform fine. Your horse also doesn’t need constant attention and as long as you pat her time to time she stays in a good mood. But that’s the thing with this game, I enjoy doing stuff like this. 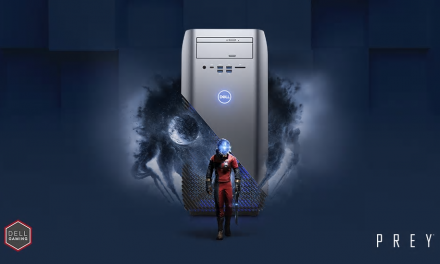 Minimal things that make minimal changes, but make the gameplay experience much more immersive and enjoyable. If you just want to blast through the story that’s fine, but I insist – just take the game world in and what it has to offer. Horses play a major part in Red Dead 2 now compared to the simple role they had in Red Dead and nearly every other game with horses in. They’re your get go from point A to point B and are invaluable to you as your journey progresses, so much so that you need to look after and care for your horse so it can look after you. You have your own horse and you can name it, but you also need to brush it, pet it and feed it to keep it happy. Horses can be bought or you can catch wild ones but in both cases you need to care for your horse and over time you create a better bond with it. Better bonds mean it won’t act up as much, get scared and can be called from further distances. Horses now carry your guns also, so if you want to change guns you need to have your horse nearby, but you also need to remember to actually pick them up. The amount of times I dismounted my horse and ran into a gunfight without actually grabbing my guns left me in some bad situations, but no matter how much I whistled she wasn’t going to just run into the gun fight so I could have my guns, which is a good thing really because if a horse dies, it dies. There’s no horse insurance so you really need to look after them and honestly it does sorta bum you out if you lose a horse as this is your main buddy through what could be a huge part of your adventure. Just like guns horses can be customized with different saddles, manes and tails – and just like guns it adds that personal touch but much more so as this is a living thing, you really do start to create a bond with your horse and look after them, even more so as you start to get out into the huge world Rockstar have created. The game map is huge, there’s no other way to say it, It’s ridiculously massive. It takes about 5-6 minutes to travel from the bottom of Los Santos to the top of Blaine County in GTA 5, by comparison it took me 23 minutes to travel from the bottom left of the map to the top right in Red Dead 2. Now of course cars are faster than horses, but the Red Dead map is filled with minor details and places you’ll go off trail to go explore. Hunting for animals, collectibles and easter egg hunting is more enjoyable as you feel like you’re actually exploring the vast world due to the nature of the untamed frontier, compared to generally tame never too far from a main road feeling of GTA. This also comes down to the fact that GTA 5 was a PS3/360 game and while it was extremely detailed, it was always going to be limited, and even if it was detailed they were never going to be seen with the stuck 3rd person camera, as it was only until GTA 5 came to current gen console that the first person view was added. The first person mode of Red Dead makes the game look amazing, and it’s about time we spoke about that. The game is gorgeous, probably the best looking game shown on consoles. Once you get into the huge game world you’ll find yourself travelling place to place just to see it all. Towering mountains in the distance, massive expanses of the heartlands, the cliffs up north with beautiful waterfalls, the gloomy swamps to the east and the baron deserts of New Austin. I took about 350 screenshots in this game because it just looks incredible with such attention to detail that I wonder how its even possible to be this precise with the details. You can be walking around the woods at night with the eerie moonlight peaking through the trees and lighting up the mist, walking through dusty Rhodes on a hot day or trying to get through the industrial smog of Saint Denise. 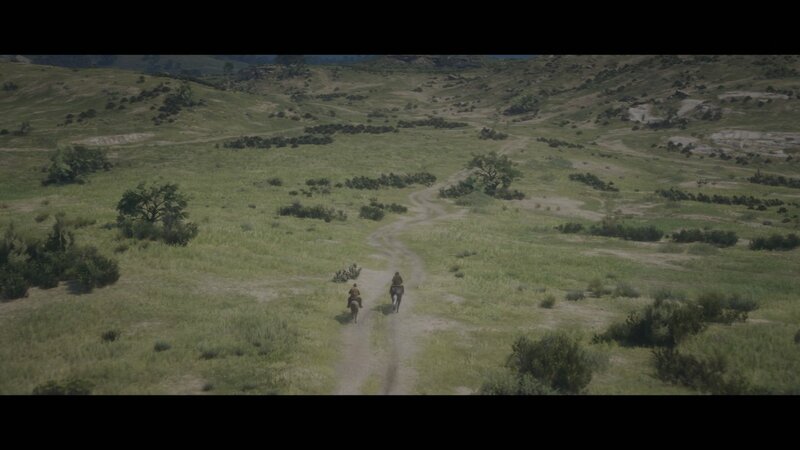 The soundtrack does a great job too and plays along just like a classic spaghetti western. Simple guitar strums for simple places, then you travel to some ranch and it might switch to some more guitar twangs, but get going on your horse and the music starts to pickup with a thundering bassline during some of the more heated moments, but it all comes together when the gun fights kick in. Triumphant horns, electric guitars plucking away with heavy hitting drums and you’ve got yourself a true gun fight. Wherever you are the game does a great job of providing the right tune for the right area. What this game does different though is its use of vocal tracks, which Rockstar games have done, but it’s usually licensed music from that era. Red Dead 2 has a few vocal tracks for special moments of the game, travelling place to place for key moments in the game and they really do set the mood. “May I? Stand Unshaken (Oh Traveller Have a Seat)” by D’ Angelo and “That’s The Way It Is” by Daniel Lanois are 2 standout tracks that are so moving, they set the tone so well and as I’ve said before it’s just another instance of Rockstar knowing exactly how to create an amazing atmosphere, which further compliments the characters themselves. 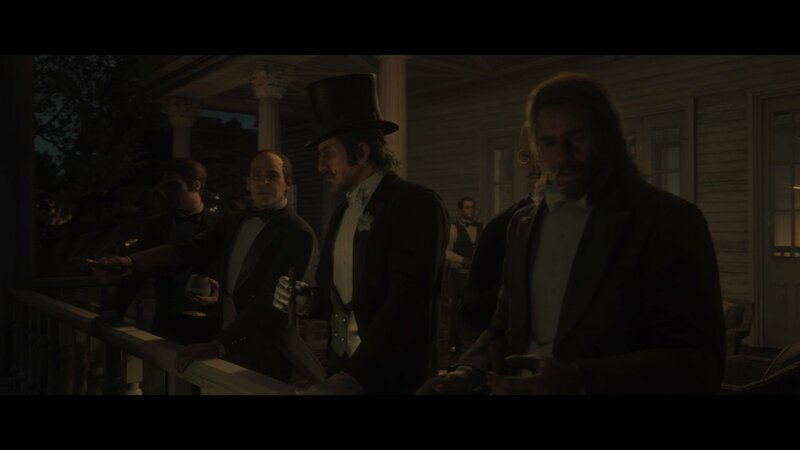 They are masterfully animated and voice acted, and combined with the personal touch each one offers as mentioned earlier, creates some of the best characters Rockstar has ever made. A few short missions with each characters doesn’t give you any direct information, but you can tell who they are and what they’re like just by the voice acting and animations alone. Arthurs grizzly but caring tone, which can get angry to those who annoy him, but he just wants what best for the camp. Dutch is assertive, but in a charming way, being able to talk himself out of situations, while John is an honorable man who just wants what’s best for his family, but will not hesitate to do something he’d regret to save the people he cares about. Possible spoilers – I will not be talking about the story directly, characters will only be mentioned in the most basic sense, and locations and key events will not be mentioned but this section is more how the game progresses and the vague overview of the story as a whole. 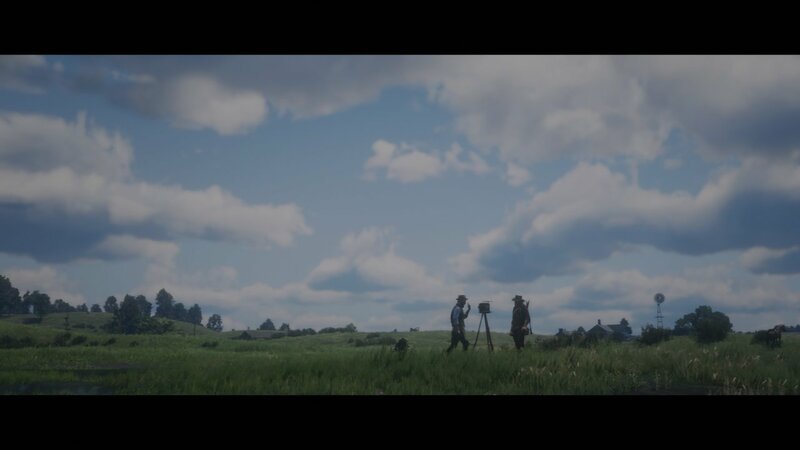 The story in Red Dead is probably one of the more personal stories Rockstar have made, and this is down to the community of the camp within the game. You care about all of them and the outcome of the game and get emotionally connected to them and their personal struggles. Missions are varied and usually has a member of the camp tag along with you so you get to know them more and more, and there’s a real sense of direction for each individual at the camp, and the camps goal as a whole. Every time you get to a new area the camp wants to explore and see what can be done and you do your best to help out. 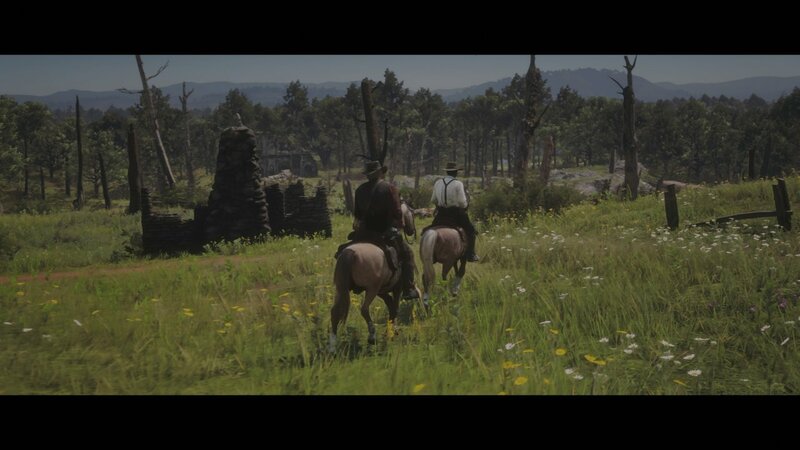 Arthur has a strong sense of loyalty to those in his camp and even if he disagrees sometimes he makes it his mission to help out as it’s for the greater good, as he trusts Dutch to carry out his plan. However there’s a certain point in the game where the game just sort of stops, you’ll know when you get to it, but it becomes a bit of a grind and the creative missions from earlier start to fall apart. It does get back on track, but only vaguely and doesn’t pickup for some time and for a decent chunk of the game and I was questioning where the game was going. 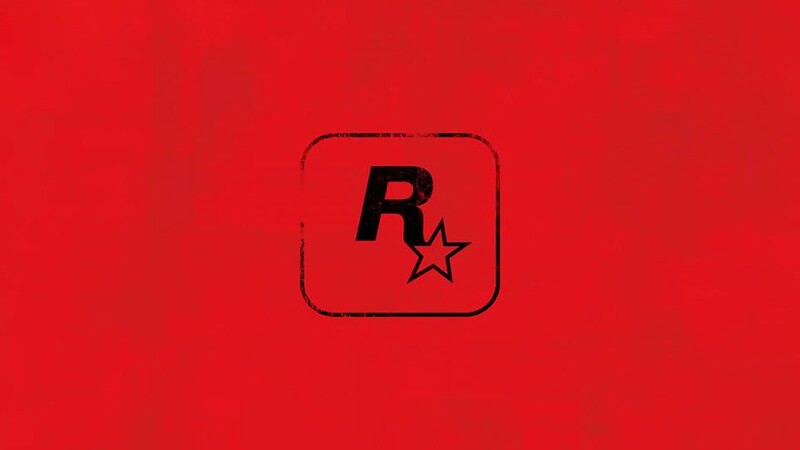 I felt like Rockstar wanted to throw a curveball my way to mix things up, but it just didn’t work, My interest for the main story really dropped and I wanted to see where it went, but it seemed that it couldn’t come to an amazing conclusion anymore. 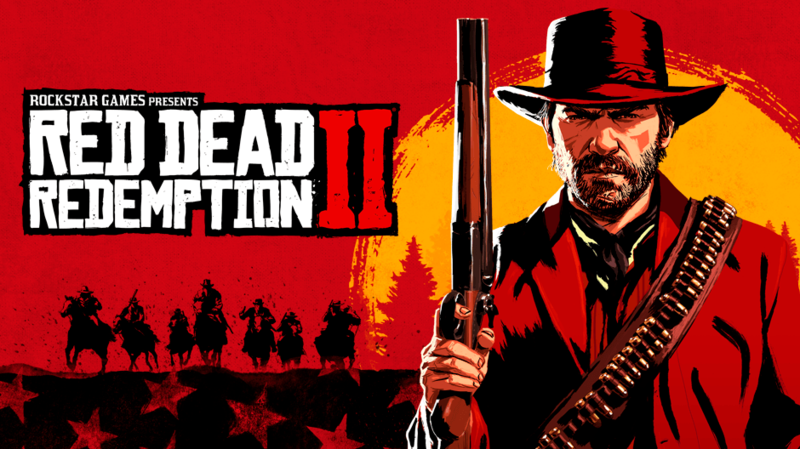 I obviously can’t say too much as I don’t want to give anything away, but I will be doing a separate article on Red Dead 2 story where I’ll go into detail on the story itself. Overall it’s a good story and it starts real strong, but it starts to falter as it goes on and doesn’t really get back on track until the end. All this said though, it doesn’t detract from the amazing job Rockstar have done with Red Dead Redemption 2. The sheer amount of detail gone into all corners of this game make it must play for anyone into their open world adventure games. The most fun you’ll have with this game is just walking around exploring the huge world that’s been created for you. 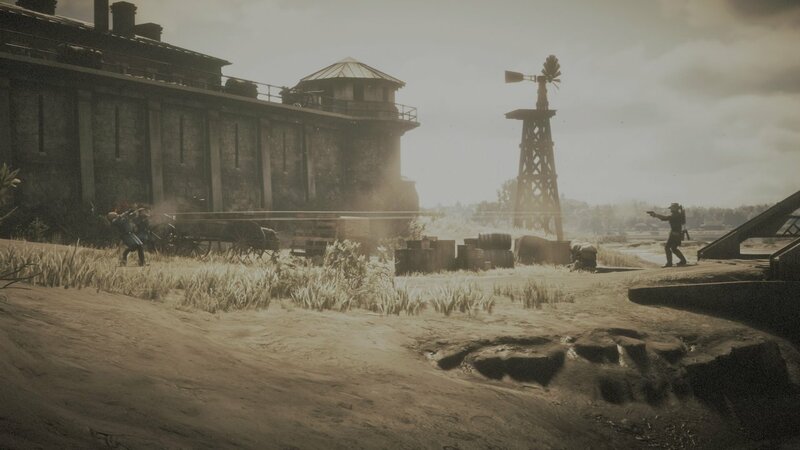 Even now with the main story over I still play the game just to wander around and get a sense of untamed frontier that’s been created. But dive a little deeper into Arthurs world and make him your own man, live the world of a gunslinger, go to saloons and start fights with strangers, rob a train, go hunt some bears with dynamite, just chill out and go fishing and make some fancy meals for your travels or kidnap strangers and throw them off cliffs. There is an insane amount of content and I doubt I’m even aware of a good portion of it this far in, and even with all these things to do, it’s the little details that really make you appreciate how far Rockstar have gone to make a real living breathing world. 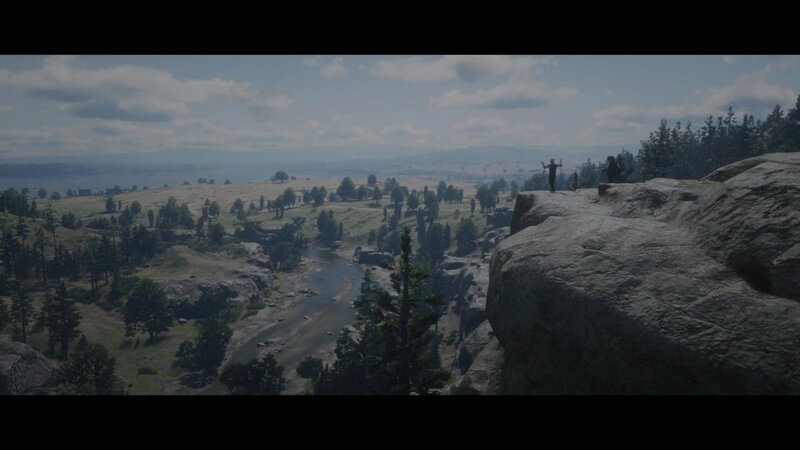 While I have my problems with the story, it’s still a heartfelt journey of Arthur Morgan and the Van der Linde gang that will keep you hooked to see how it concludes and where the gang ends up. Rockstar have worked on their strengths and built something outstanding that should not be missed. An amazing representation of the American frontier, at one of its pivotal eras of the extension into the new world, but also the slow death of the old ways. Red Dead Redemption 2 redefines what we should expect from open world games, offering amazing attention to detail, interesting and thoughtful characters and a world that keeps you playing for hours on end, surprising you even late into the game. Red Dead Redemption 2 is a masterpiece, and if you think it’s not you for, I direct to what John Martson once said “I implore you, think about this”. Red Dead Redemption 2 - "Gentlemen, I think I've got something good"
Summary Red Dead Redemption 2 is an absolute masterpiece and shouldn't be overlooked by anyone with means to play it. 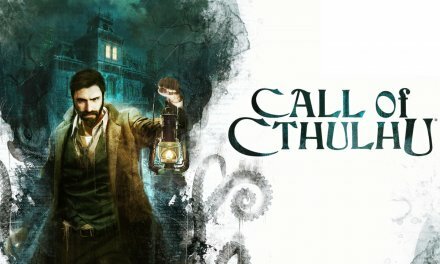 Its redefined what to expect from open world games - an amazing in depth world, interesting characters and simple yet effective mechanics that put this game above so many other open world games out there. It's difficult to overlook the amount of effort Rockstar have put into this game with it's minor details but its immersion as a whole. A game where you can play your Wild West dreams with some of their best characters, or you can just lose yourself in the games world. Red Dead Redemption 2 is a masterpiece, and it can't be put any other way.